We are in the middle of the 2018 storm season and there have several named storms tracked across the Atlantic. It’s not too late to get into action in preparing for a potential storm. I put together a list of actions that should make weathering the storm and dealing with the damages safer and overall a smoother process. Contact a roofing professional (Consultant or contractor) to properly document the current conditions of the roof. 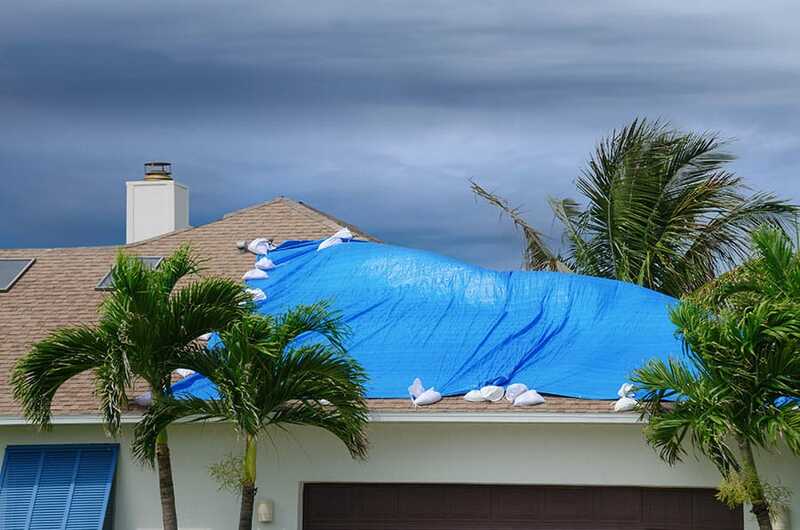 If you’re unable to hire a consultant, take multiple photos and/or video recordings of the existing roof system prior to the arrival of the storm. Make sure all drainage points are clear of obstructions and remove all debris from the roof. During the storm, loose debris can easily become projectiles. Check all curb units (A/C units, Exhaust Fans, etc.) to make sure they are properly secured, also check all penetrations (Penetration Pockets, Soil Stacks. Etc.) and the perimeters (Parapet Walls, Roof Edge, Wall Flashings, etc.) to make sure they are properly sealed. Remove all skylight lenses and cover the opening with a metal curb cap cover if possible or ¾” plywood at a minimum and make sure the cover is properly attached to the curb. Contact a roof consultant (preferably the same consultant who inspects the roof prior to the storm) or a roofer to set-up a post-hurricane inspection prior to a storm. Contact a reputable roofing contractor and have an agreement to do post-storm work. Contact the roof consultant that inspected the roof prior to the storm to document the damages. If you are unable to contact a roof consultant, take multiple photos and/or video recordings of any damage which occurred for comparison with pre-storm shots. Contact your insurance company as soon as the storm passes if possible or as soon as communications become available. Do not attempt to make any repairs to your roof system, wait for the professional roofing contractor. Do not attempt to remove downed power lines which may be lying across the roof or structure. If you do not have an agreement in place with a reputable contractor to perform post-storm work, please be very careful in soliciting the work of unknown roofing contractors, especially those from other states.